Im having troubles installing nugets. I did follow the documentation tried both ways of inputing Credentials the nuget list is still empty. Is someone having the same issue ? I created new Telerin .net core MVC project and now i can see the packages for my other projects too. Weird! 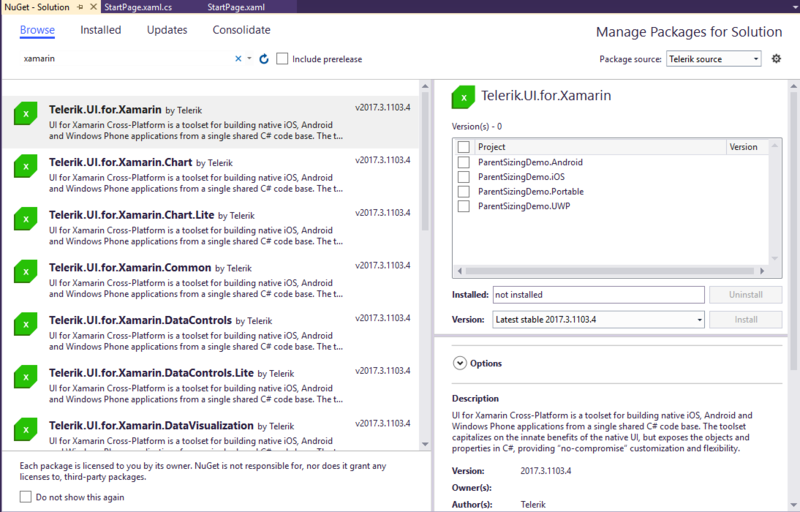 I just checked the Telerik NuGet server and I can see the package list. Try again, but make sure you have the "Telerik Source" selected (see top right of my screenshot) and search for just "xamarin" (see top left of my screenshot. If you're still not able to see it, try deleting the Telerik NuGet package source and then re-add it. Here are the instructions for Visual Studio and here are the instructions for Xamarin Studio / VS 2017 for Mac.